Super Fly hit Hijo del Tirantes (???) and was DQed. Super Fly took Aero's mask after the match. 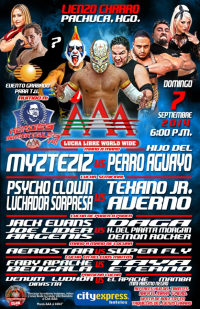 Monster Clown was the "mystery" wrestler - though Cibernetico also appeared, sitting with the announcers for the match. 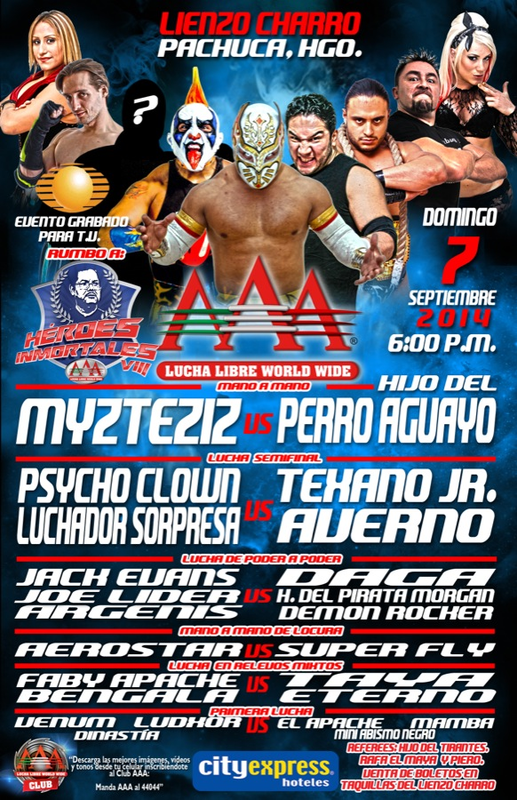 Texano got a revenge win over Psycho CLown. Joe Lider & Daga attacked Psycho & Monster after the match until Murder ran out for the save.